Despite how common vertigo is – an estimated 69 million Americans aged 40 and older have experienced it – there is still some mystery and misunderstanding about it. 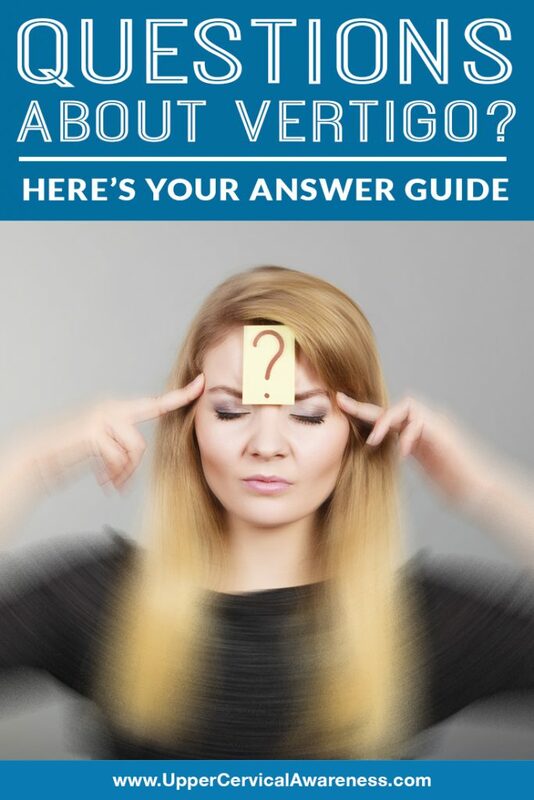 Vertigo is the prime symptom of a vestibular disorder. The vestibular system includes parts of the inner ear and brain that are responsible for processing the information from your senses that control balance and eye movements. Vertigo attacks can range from an infrequent and mild annoyance to a chronic and debilitating condition that disrupts every facet of life. Whether it’s you or a loved one who sufferers with vertigo, educating yourself about what causes it and ways to care for it can only stand to help. Central vertigo is caused by a central nervous system disorder. Potential causes of central vertigo include migraines, multiple sclerosis (MS), acoustic neuroma, brain tumors, and medication side-effects. Peripheral vertigo is caused by issues that arise from the inner ear. Diseases associated with peripheral vertigo, which is more common than central vertigo, include BPPV (benign paroxysmal positional vertigo), Meniere’s disease, labyrinthitis, and vestibular neuritis. Dizziness is an inexact term that can be used to describe various sensations. When you feel dizzy, you might feel disoriented, faint, woozy, or lightheaded. Vertigo, on the other hand, makes you feel as if you’re spinning or that the environment around you is spinning or whirling. Vertigo is defined as the false sensation of movement. It is sometimes erroneously used to describe a fear of heights. Vertigo is often associated with other symptoms including nausea, vomiting, hearing changes, and tinnitus. Both dizziness and vertigo can be caused by many things, including dehydration, rapid changes in blood pressure, inner ear problems, certain medications, or positional changes. What can trigger a vertigo attack? Are abnormal eye movements associated with vertigo? One of the ways that your body tries to correct for abnormal balance signals is by moving the eyes. When the eyes make involuntary, abnormal eye movements during a vertigo attack, it is referred to as nystagmus. When the vestibular system isn’t functioning properly, false signals can be sent to the brain about movement. The eyes will essentially try to compensate for the false spinning sensation by moving in a jerking motion. Different types of vertigo can produce nystagmus with differing patterns, which can be useful in determining the underlying disease. Is vertigo related to a history of head or neck injury? More research is revealing a connection between an injury to the head or neck and the later onset of vertigo. Vertigo is a known symptom of post-concussion syndrome, which occurs when concussion symptoms persist long after the injury. A blow to the head or neck can also provoke BPPV, vestibular migraines, cervicogenic vertigo, Meniere’s disease, central nervous system dysfunction, and other damage to the inner ear. What is upper cervical chiropractic and how can it help me? The atlas extends very near to the structures of the inner ear. When it is positioned correctly, inner ear function can take place normally. However, abnormal rotation of the atlas can disturb the inner ear’s ability to work correctly and send accurate balance signals to the brain. The vertebrae of the upper cervical spine protect a vital part of your body’s central nervous system – the brainstem. The role of the brainstem in maintaining a sense of balance is to process and integrate the signal traveling between the brain and inner ear. An atlas misalignment can hinder brainstem function, leading to the false sensation of movement we know as vertigo. Just as an atlas misalignment can reduce your body’s ability to function optimally, once an adjustment is made and time is given to allow the body to heal, normal function can be restored. The benefit of an upper cervical specific adjustment is that it is designed to hold in place for as long as possible, which yields lasting, natural results that many vertigo sufferers have been searching for. Schedule a consultation with an upper cervical chiropractor in your area to learn more about this natural, gentle, and effective way of getting natural relief from vertigo and its associated symptoms.